Beyonce, also known as "Queen B," attracted quite the swarm of fans in the South Bay Saturday night, which also triggered a hefty security presence. 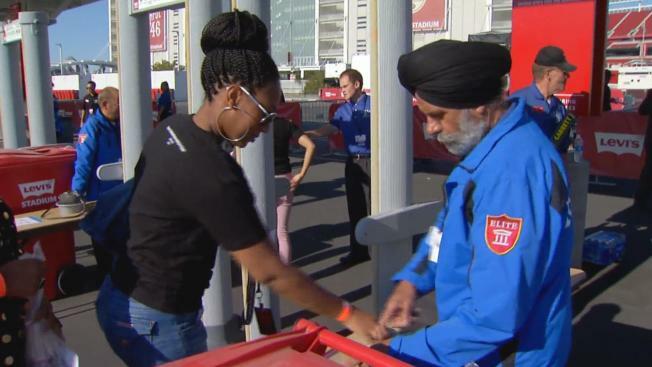 Despite the concert taking over Levi's Stadium on the same day that a pipe bomb exploded before the running of a 5K race in New Jersey and an explosion in New York City that injured 29 people, concertgoers seemed to be at ease with the security efforts in Santa Clara. "I've worked here before as security and I've seen how strict and what they look for and so that's why I don't think there is any concerns," said Ariana Ayala, who drove from Fresno County to watch Beyonce live. Fellow attendee Chasen Powell-Ramirez added that forking over a hefty amount for a ticket doesn't just go to his concert experience. "They should have top security," he said. "We pay all this money for security too so it should be OK," he said. Fans were only allowed to don small bags upon their entrance into the venue. Large bags and backpacks were prohibited. After the blasts along the East Coast Saturday, the San Francisco Police Department reiterated to citizens to always be vigilant of their surroundings and report suspicious activity.